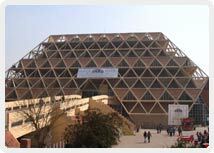 Built in the year 1982, Pragati Maidan is the country’s biggest exhibition complex. The name of the complex is synonymous with development and plays hosts to mega events such as the Book Fair, Auto Expo and several trade festivals. This massive complex is the venue of the annual India International Trade Fair usually held in November. India International Trade Fair is the biggest attraction of Pragati Maidan. This Trade Fair attracts around 10,000 exhibitors and over 30, 00,000 visitors. Pragati Maidan has permanent buildings for pavilions of all the states of the country. There are 18 exhibition halls, many buildings, eateries, performance spaces and compounds in the complex of Pragati Maidan. The Indian Trade Promotion Organization (ITPO) is also headquartered at Pragati Maidan. Around 70 national and international exhibitions are held here every year. Many business and industrial organizations from all over the world participate in these fairs, fostering industrial collaboration. Exhibitions have focused on a range of products that are of domestic and international value. These refer to household consumer goods, home appliances, garments, shoes, processed food, beverages, confectionery, drugs, pharmaceuticals, chemicals, cosmetics, body care & health care products, telecommunication, children's ware, handicraft, gift items, power generation, as well as technology and equipment related to petrochemicals, oil and gas industries, hospital and medical equipment, machinery and machine tools related to different industries, agricultural products and engineering goods. It also houses the Crafts Museum, which is having collections of 20,000 specimens of weaving products, metal products - wooden products- earthen moulds, images and artifice. 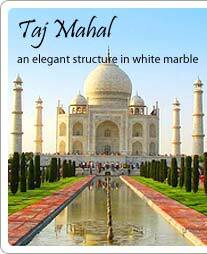 The state pavilions are a must visit to witness the variance of various Indian states at one place. The Crafts Museum is a star attraction.